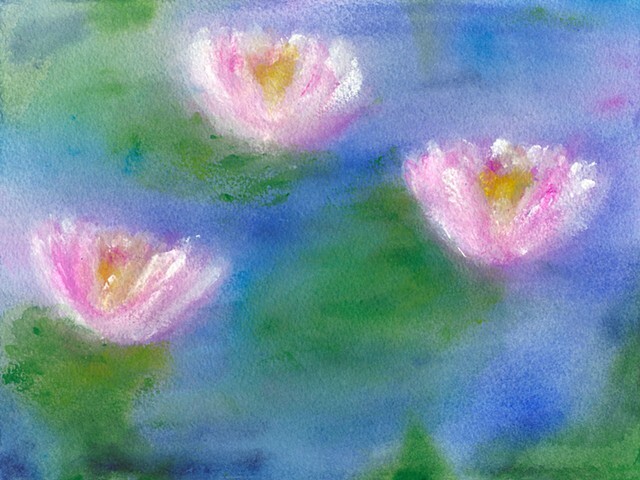 Serene and beautiful water lilies float peacefully on a pond. Original painting available for sale; please contact me using "Contacts" link for more information. Sales tax and shipping are additional. Limited edition giclees are also available; price determined by size.